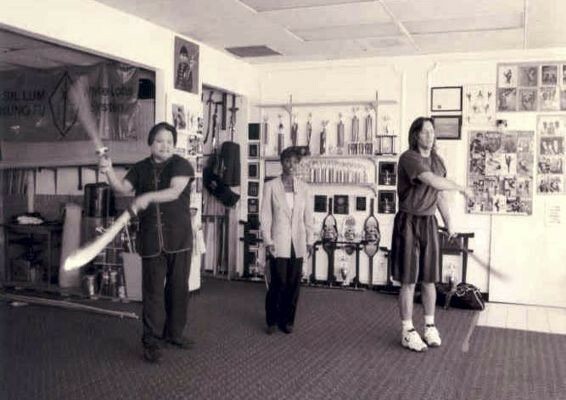 It was at his White Lotus Studio in Northridge, California that Douglas Wong trained stars, or rather super hero warriors. 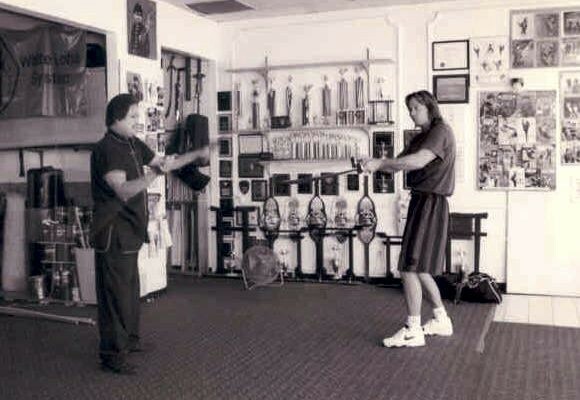 Sifu Wong began by training Kevin Sorbo for his role in Hercules – The Legendary Journeys, which played for 6 seasons. 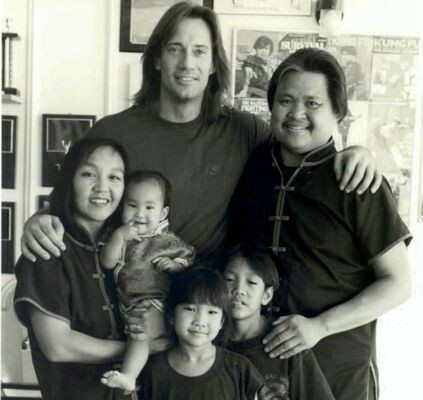 Pleased with Sifu Wong’s training of Kevin Sorbo, he was asked to train Lucy Lawless for her role in the spin off of the Hercules series Xena – Warrior Princess which also aired for 6 season. They trained Lucy Lawless on the use of various weapons for her role in Xena – Warrior Princess. They worked with staffs and swords, and also on rolling, jumping, kicking, and on stretching drills and with other techniques so she could perform most of her own fighting and stunts scenes. The producer also came up with the series of Young Hercules starring Ryan Gosling who was trained for his starring role by Sifu Wong at the White Lotus Studio. 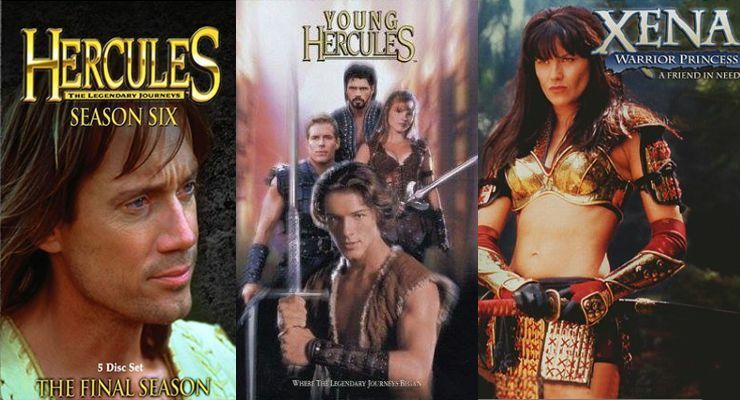 Before the Young Hercules series with Ryan Gosling, they wanted to make a movie introducing Young Hercules by using actor Ian Bohen and Johna Stewart in the lead roles and Douglas Wong trained both young actors before they took off to film the adventure in New Zealand. “We worked on weapons, rolling, falling, jumping, reaction timing, etc . . . with Ryan Gosling, says Douglas Wong. 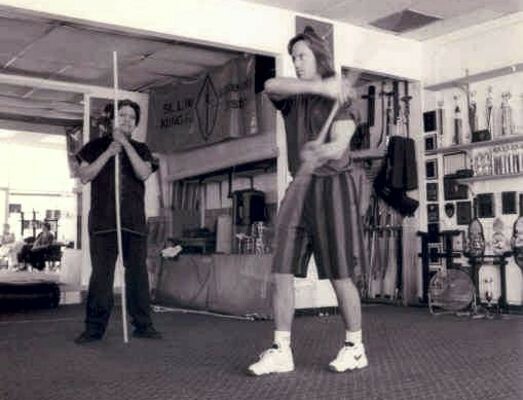 Lucy Lawless training for Xena with Doug Wong at White Lotus Studio Northridge, CA. 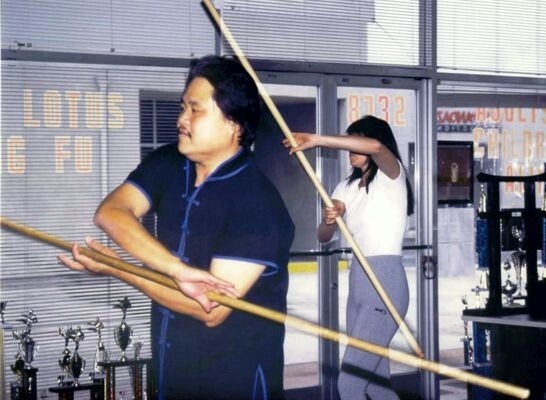 Lucy Lawless training with Doug Wong for Xena at White Lotus Studio Northridge, CA. 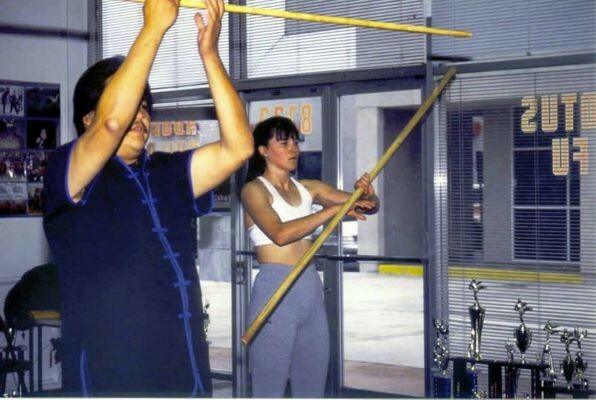 Lucy Lawless training with Carrie Wong for Xena at White Lotus Studio Northridge, CA. Lucy Lawless with the Wong children at White Lotus Studio Northridge, CA. The last of the series Sifu Wong was hired to work on was Cleopatra 2525 and he trained actress Gina Torres the star of the series. Sifu Wong’s son Travis Wong helped in the training. They worked on jumping and climbing techniques, as well as the varies kicks. 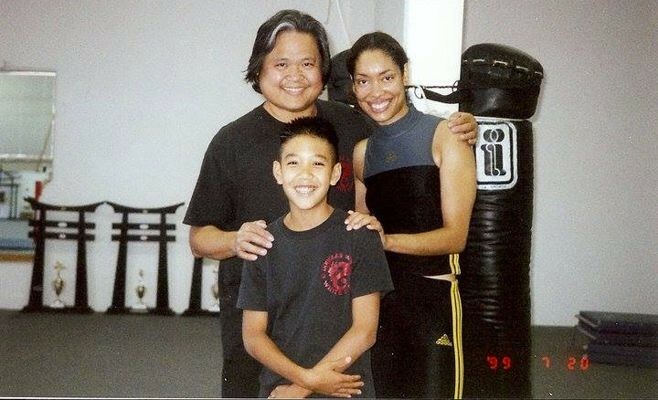 Douglas Wong taught his son Travis Wong the various methods in training actors and actresses for their action scenes. Travis would climb the bag and twist into a sitting position on top of the bag and Gina Torres would follow. 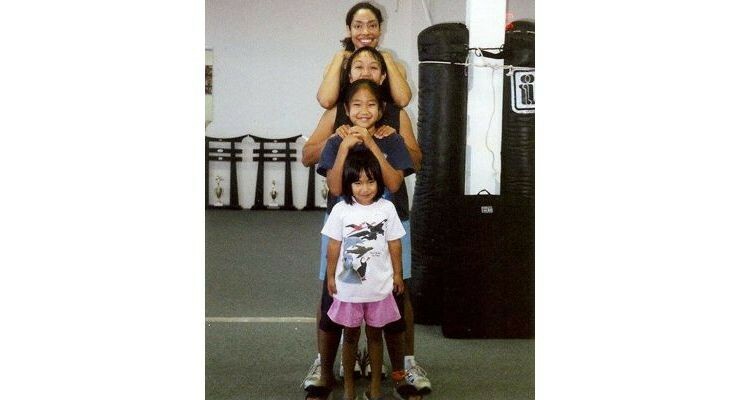 Gina was in great physical shape and capable of training in all sorts of action techniques. Gina would then use these techniques during filming of the show. 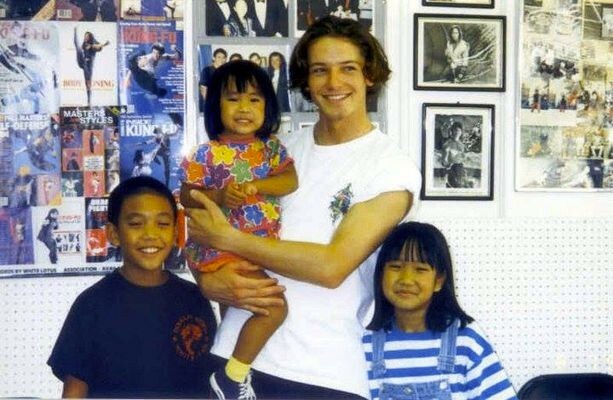 Young Hercules actor Ian Bohen and the Wong children. Young Hercules actor Johna Stewart and the Wong children.